World Famous Paintings 미술 - 세계명화감상 - Attentive Worker. 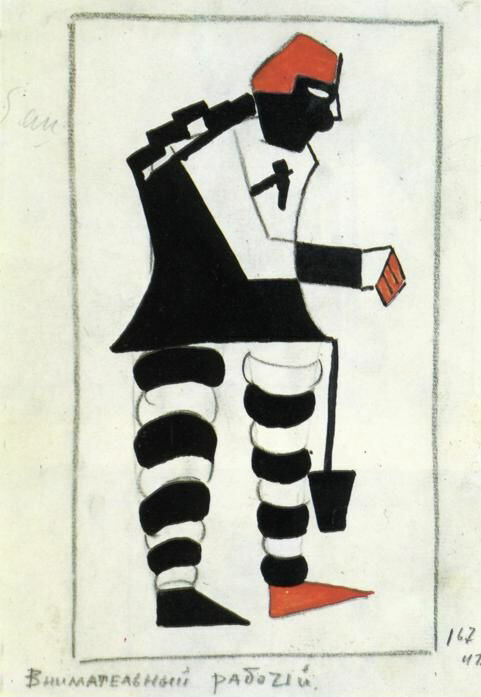 Sketch of a costume for the opera "Victory over the Sun" by M. Matushin. 1913. Paper, pencil. 27 x 21 cm. The St Petersburg State Museum of Theater and Music, St. Petersburg, Russia.